Sri Chinmoy (1931-2007) is a spiritual teacher who advocated meditation and selfless service as a path to inner and outer peace. He initiated numerous programs for global peace, such as the Sri Chinmoy Oneness-Home Peace Run. 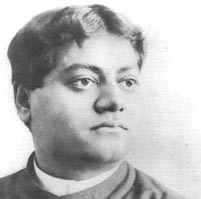 S also advocated a philosophy of ‘self-transcendence‘ – the effort to make continual progress – spiritually, physically and integrally. He also founded the global Sri Chinmoy Marathon Team, which organise many ultra-distance running events. Chinmoy Kumar Ghose was born 27th August 1931 in the tiny Bengali village of Shakpura, Chittagong. It was then part of India, although Chittagong now forms part of modern Bangladesh. As a young boy Chinmoy or “Madal” as his nickname was at the time, was full of energy and enjoyed being very active and not a little mischievous.However, at an early age, he experienced an intense mystical vision which encouraged him to spend many hours in meditation. Soon after this experience, he entered the Sri Aurobindo Ashram where he was able to pursue meditation and religious studies. It was here at the ashram that his brother Chitta gave him the name of Chinmoy which means “full of divine consciousness.” He lived at the ashram for twenty years, spending much of his time writing poetry and practising meditation. He mentions how waking very early he became absorbed in his meditation for many hours. 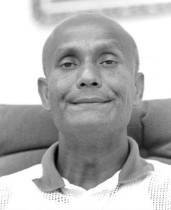 Chinmoy also participated in the ashram activities and was a good footballer and athlete. He won the ashram decathlon twice and was the fastest at 100 metres for several consecutive years. In 1964, Chinmoy heeded an inner command to come to the United States to teach his spiritual ideas and practices. In the late 1960s, America was undergoing social change with young people beginning to question established ideas. In this climate, there was a marked interest in Eastern ideas and the Yoga of India. Perhaps best epitomised by the Beatles visiting the Maharishi’s ashram in India. Sri Chinmoy conducted twice-weekly meditation sessions for U.N. delegates and staff members and delivers the monthly Dag Hammarskjold Lecture. He also served as an official representative to the U.N. for the Sri Chinmoy Centres. Sri Chinmoy saw his work with the U.N. as an important step toward bringing peace and understanding to the nations of the world. Sri Chinmoy’s usual presentation, both at lectures and at the U.N., began with a period of silent meditation, sometimes followed by the repetition of Sanskrit mantras. In recent years, Sri Chinmoy increasingly favoured offering concerts of meditative music rather than giving lectures. To date, he has given over 700 concerts. When meeting people he often begins with a short period of meditative music, usually on his favourite instrument, the Indian Esraj. These moments of silence enable Sri Chinmoy to enter into a meditative consciousness. Through his myriad activities and teachings, Sri Chinmoy states his primary goal is to raise the consciousness of seekers. His philosophy is loosely based on Hindu religious beliefs. He has written an extensive commentary on the Bhagavad Gita and the Upanishads. However, he has developed a style of his own. In particular, he has made extensive use of short instructional aphorisms. These aphorisms or short poems are aimed as a guide to spiritual practice. Sri Chinmoy states his spiritual path focuses on a direct approach of simplicity. Ruth S. Haas in Library Journal noted that Chinmoy “emphasises the centrality of love to higher states of consciousness,” although he “does not present a systematic philosophy as such, but concentrates on his personal practice of meditation and spiritual discipline.” Sri Chinmoy himself feels that by concentrating on the heart, the seeker can bring divine love to the fore which is the shortest path towards the goal. An aspect of Sri Chinmoy’s life is that whatever he pursues he likes to bring in the concept of striking self-transcendence. From a deep meditative state, Sri Chinmoy is able to tap an inner source of inspiration that has led to the creation of an unprecedented quantity and variety of artistic and sporting activities. Amongst his various achievements there include nearly over 17,000 songs, over 50,000 poems, over 700 concerts. In the field of athletics, Sri Chinmoy completed several marathons and ultra marathons. However, it is in the discipline of weightlifting that he has been able to reveal most strikingly the outer strength resulting from an inner disciple of prayer and meditation. Approaching the age of 74 Sri Chinmoy continues to lift weights that astonish the weightlifting community. Many of these lifts have been well documented being performed at weightlifting celebrations with many people and dignitaries attending. When Sri Chinmoy became inspired to start painting he completed 100,000 works of art in less than a year, several of which were subsequently displayed in art galleries and museums. In the 1990s he took to drawing his distinctive and unique soul birds. These birds have become emblematic of his spiritual artistic works he terms “Jharna Kala” or fountain art. Chinmoy is particularly fond of drawing birds because he feels they symbolise the ascending human soul seeking to break the limitations of the physical body. In 2006 the number of Soul Birds drawn has reached over 15 million. These works have been displayed in art galleries around the world including exhibitions at the United Nations in New York and the Louvre in Paris. Sri Chinmoy entered mahasamadhi in October 2007, aged 76. Citation: Pettinger, Tejvan. 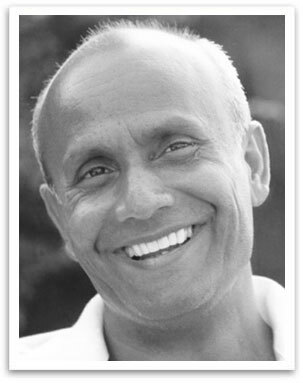 “Biography of Sri Chinmoy”, Oxford, UK – www.biographyonline.net. Published 11 May 2008. Last updated 1 March 2018.